The heaviest vehicle to successfully land on Mars is the Curiosity Rover at 1 metric ton, about 2,200 pounds. 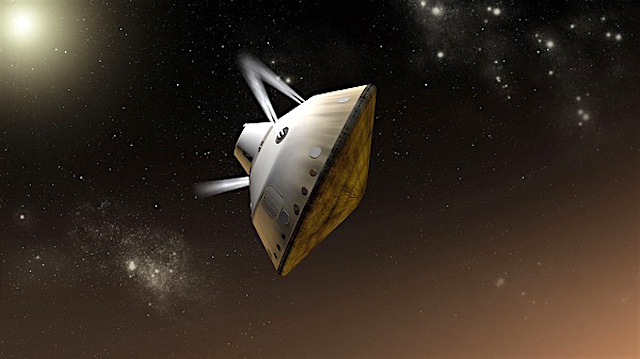 Sending more ambitious robotic missions to the surface of Mars, and eventually humans, will require landed payload masses in the 5- to 20-ton range. To do that, we need to figure out how to land more mass. That was the goal of a recent study [published in the Journal of Spacecraft and Rockets]. This entry was posted in Reports and tagged landing systems, missions. Bookmark the permalink.